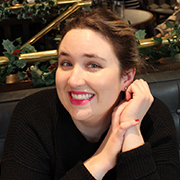 The low FODMAP* diet can give a real helping hand to many trying to have better control over their symptoms related to irritable bowel syndrome (IBS)… but it can also be a little complicated and hard to follow! You can eat this food, but not this one, on the other hand, if you don’t eat too much of it, it can be alright. Yikes! Despite the many lists of high and low FODMAP foods one can find everywhere on the web and through helpful tools, such as our low FODMAP meal plans, it can be difficult to know which foods are truly low in FODMAPs and which are not. I aim to help shed some light today by presenting to you below the top 5 most confusing foods and food families in terms of their FODMAP content. Legumes are high in FODMAP. Right? It’s true, they are, but with a few exceptions. All dry legumes that need to be rehydrated and cooked are high in FODMAP. But, when the legumes are canned, this changes. In fact, canned chickpeas and canned lentils are low in FODMAP, up to ½ cup (~75g). This is because some of the FODMAPs that are in these legumes will migrate into the liquid (since FODMAPs are water soluble). The end result is a decrease in FODMAP concentration since canned legumes are rinsed before consumption and the liquid is discarded. 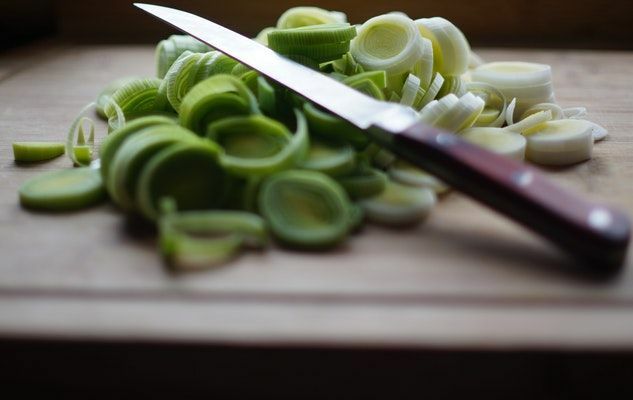 The truth is, for green onions and leeks, it’s only the white part of the vegetable that contains FODMAPs. Which means that the green part can be eaten without risking symptoms, since it is low in FODMAP! If you do not want to waste the white part of the green onions or leeks, you can use chives or asafoetida powder instead for a similar flavour. One could easily think that all fruits belonging to the same family have the same FODMAP content. This is the case, for example, for citrus fruits, where one portion servings are all low-FODMAP, or pitted fruits (peaches, cherries, apricots, etc.) which are almost all high-FODMAP. However, this is not the case for berries. In fact, despite the fact that most berries are low in FODMAPs, blackberries are high in FODMAP. During the exclusion period of FODMAPs, prioritize eating blueberries, raspberries and strawberries. 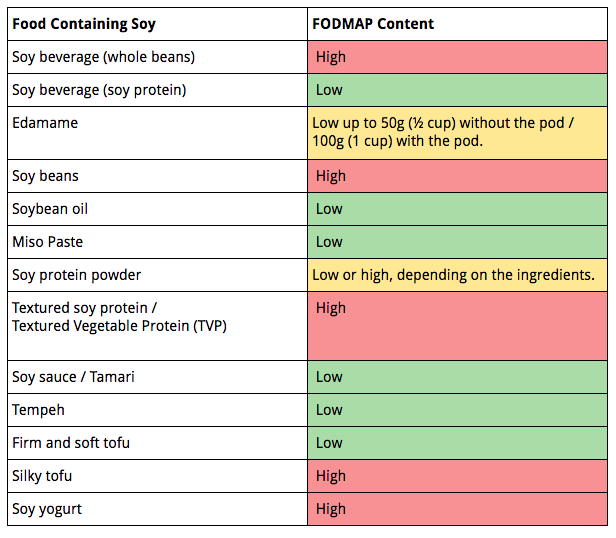 For more details on each of these foods, I invite you to read the article FODMAP Content in Soy: High or Low? For spelt, it is the transformation of the cereal that makes all the difference. Indeed, spelt itself is high in FODMAP. It contains fructan, just like wheat and other grains. This means that spelt grains, spelt flour, spelt pasta and spelt flakes are all high in FODMAPs. When spelt flour is fermented, for example in sourdough bread, the FODMAP content decreases. In fact, the leaven (the culture of bacteria and yeasts that are added to the flour in the production of sourdough bread) digests a good part of the fructans contained in the spelt flour and thus makes spelt sourdough bread low FODMAP. So there you have it, I hope to have clarified some things for you. If you are unsure of the FODMAP content of other ingredients, I would be happy to answer your questions in the comments below! Hi Jef! Thank you for sharing this info.. This helps for my fodmap diet.